Welcome! Maybe you've stumbled here because you've been using a walkthrough for the SNES version of Clock Tower and you just can't get that goddamned S-Ending for the life of you. Or the A-Ending for that matter. You've replayed it several times only to continuously land on the B-Ending. Or maybe you didn't even make it that far and got stuck on the F-Ending because you couldn't find the hutch key. Why isn't it under that damn beheaded crow? I'm here to help. I was once in your position. Yes, the PSX port of Clock Tower changed some things seemingly just to change them. I had been wanting to play Clock Tower for a really long time. 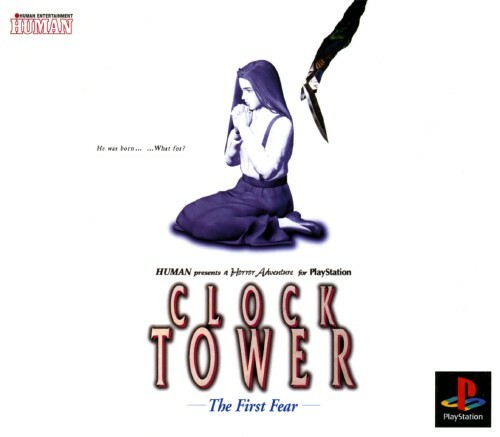 I remember playing Clock Tower for PSX when I was younger. Little did I know, this was actually Clock Tower II. When I found out about the SNES version I loved watching playthroughs on YouTube and the season 7 episode of Game Center CX where Arino plays the game is really fantastic. I was planning on making a reproduction of the game for SNES for a long time, but then I found out that the PSX port of the game had a fan translation. Burning a disc is certainly easier than making a label, programming an EPROM, soldering an EPROM, applying the label.. you get the idea. Plus the PSX lacks Nintendo's intentionally blurred RGB output on the SNES (I know the 1CHIP doesn't have that failure, I don't want a 1CHIP though). You can find the translation by arcraith here. Note that this is only the patch. You'll need to apply it to the rip of the game from redump. Or you can just search online and find a pre-patched BIN/CUE. But I'd never condone that. You should only apply fan patches to copies of your original game. Right? We all do that? Right? Of course not. Anyhow, he did a pretty decent job with the translation. Some lines are a tad off and make you scratch your head, but the confusion will be much less than if you tried to play it in Japanese. Note that if you're burning this disc for a mod chipped PSX the game does take some time to boot up. This is normal, your burn isn't bad. Anyhow, I've been playing this game for quite a while now trying to get all of the endings. The problem is that most of these guides are centered around the SNES version... and of course the developers made changes in the ending requirements for the PSX port. There is one guide on GameFAQs which says it is based around the PSX port but it does leave out some important details. Most of these guides list out slightly different ways of obtaining the endings as well. No one seems quite sure on the exact criteria for how some events play out in the game either, which is an impressive feat considering its age. So, what is Clock Tower all about? It's the story of a girl named Jennifer who is an orphan. Jennifer and a few of her friends are adopted by a woman named Ms. Mary and taken to a large and obviously spooky mansion. Things go off the rails fairly quickly, depending on your actions in moving through the mansion one of the friends will be killed by Scissorman, a deformed boy who carries massive scissors. You'll have to escape from Scissorman and navigate the mansion, finding out just what the hell went so horribly wrong there. While I am posting how to get the endings, I recommend trying to play through the game yourself a few times. The game is really very short if you just follow a walkthrough. Fun trivia before we get started, Suda51 actually got his start at Clock Tower's developer; Human Entertainment. He was responsible for one of Human's Fire Pro Wrestling games while he was there, which seems oddly normal for Suda51. Well, not really because the plot revolves around a wrestler who manages to become the best but then has no further challenge in his life so he kills himself. Suda51's idea of a wrestling game, everyone. Clock Tower is a point and click game. You do not have direct control over the Jennifer. Get used to it fast. Jennifer moves on a fairly set path; clicking the cursor to her right or left will automatically move her in that direction. She won't stop moving until you cancel the action. Otherwise she's just going to charge on through whatever unlocked door she comes across. She also walks at a snail's pace. Note that Clock Tower does not support the DualShock's analog controls, so break out your SCPH-1010 if you're like me and still have one. You can also play the game with a PlayStation mouse, which I recommend as it feels more natural since this is.. well, a point and click game. D-Pad: Moves the pointer. Surprise! X: Panic button. Jennifer's portrait starts flashing multiple colors when she's in danger, this is your cue to use the panic button. Mash it repeatedly to escape danger. Square: Interact. The pointer will turn square when you've moved it over something that Jennifer can interact with. Pressing square once when you're not over an object with interaction will make Jennifer start walking. Think of the middle of the screen as a dividing line; if your cursor is to the left and you hit square, Jennifer will walk left. Same concept for right. Clicking twice rapidly will make Jennifer sprint. Triangle: Cancel. This will cancel an interaction you've selected if Jennifer isn't too far into the animation. This will also stop Jennifer when she's walking. Circle: Item. This brings up a menu across the bottom of the screen where you can use items you've collected. To use an item, press square. The item will replace the pointer, you can then move the item over what you want to use the item for. Start/Select: No function. The circle button menu is essentially your pause button. Again, this is my preferred method of playing. Official Sony mice are surprisingly expensive at this point. I picked up a third party mouse made by Innovation for about $7 on eBay from someone who seems to have a warehouse full of new old stock Innovation products. If you aren't willing to shell out the insane cash for the Sony mouse (and you shouldn't be), the Innovation mouse works perfect. It's a ball mouse, it's not atom splitting technology. Moving the mouse: Moves the cursor. Again, surprise! You'll notice the mouse is short a few buttons compared to the controller. In order to bring up the circle button menu with the mouse, move your cursor down to the black area where Jennifer's portrait is. Left mouse button: Interact, same function as the square button for the controller. Click once when the pointer turns square. Click once when not over an interactable object to have Jennifer walk. Double click to run. Right mouse button: Cancel, same description as for the controller. When Jennifer's portrait is flashing the right mouse button functions as the panic button. Jennifer's portrait serves multiple functions. First, it's your health. A blue background is the best, red is the worst. Running will drain your health, so I suppose it's more accurate to call it stamina. It's important to carefully use your stamina. I'll point out in my guide when you need to NOT be in red. Jennifer walks slow so you're going to want to run. The problem is that when you're in red you can't fight off Scissorman and some minor interactions will kill you. One example is a parrot. If you let it out of its cage, it'll swoop at you. If your stamina is red, you'll die. Jennifer is kind of a wuss. When her portrait starts flashing multiple colors that's your cue to mash the panic button. The only way to restore your stamina is to let Jennifer stand around for a few seconds and see if she falls to her knees. If she does, leave her there. Her health will recover to blue. Clock Tower does NOT save automatically. It will take up one block on your memory card. Be dilligent with your saves when you're going for specific endings as many appearances of Scissorman are random and even your method/items needed for the better endings will change. Once you finish the game and get an ending, your save file will be updated with which ending you obtained. Note that even if you complete an ending and save the game, the ending list will update but your continue save will still be in place. This will save time for getting a few of the endings if you want to see them all. Here are my guides to the ending. You'll notice on the main menu there's a game start and quick start option. The beginning of the game is story which is unskippable. It's pretty easy to navigate your way through, just talk to everyone twice and you'll get the cue to proceed. If you use game start it'll make you do all of that again. If you do quick start the game will skip the story and place you at the start of the game where Jennifer is in the first area of the mansion alone. Learn to love quick start.